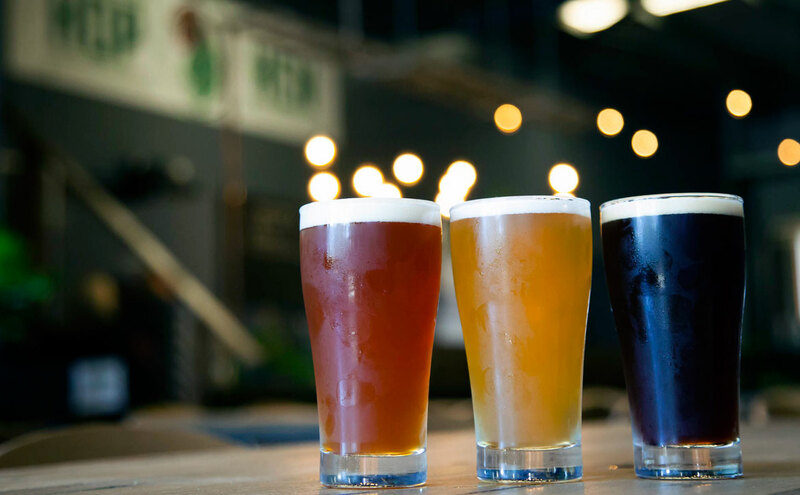 The Yarra Valley has long been known as a top destination for wine lovers but, over the past decade or so, the area has developed a trail for those interested in local beer. The likes of Watts River, Hargreaves Hill and the recently relaunched Detour (which was until very recently Napoleone Brewery – more on that soon) combine to make the region as worthy a visit for those who favour grain over grape. At the edge of the valley lies Lilydale, a suburb on Melbourne's outskirts that's fortunate enough to be able to lay claim to being both part of the Yarra Valley and the Dandenong Ranges. 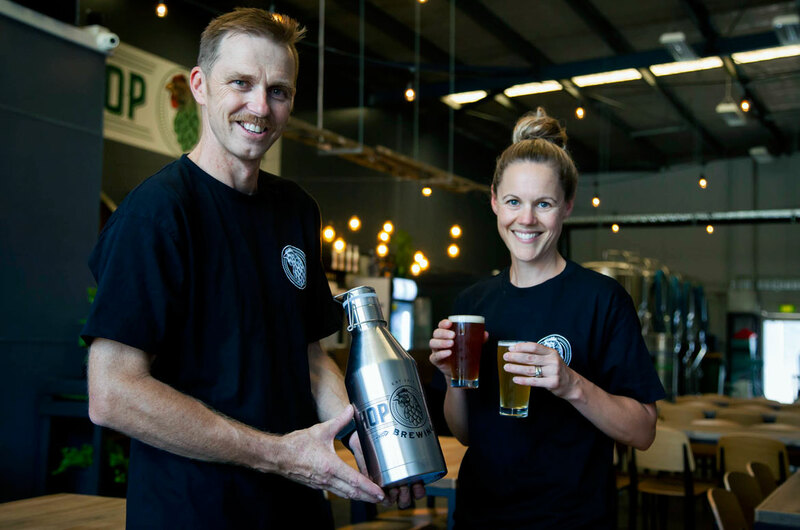 As the home of Hargreaves Hill's production site (rather than the brewery's cellar door in Yarra Glen), the suburb has had its own brewery for many years, although not one you can visit outside their occasional Food Truck Fridays. 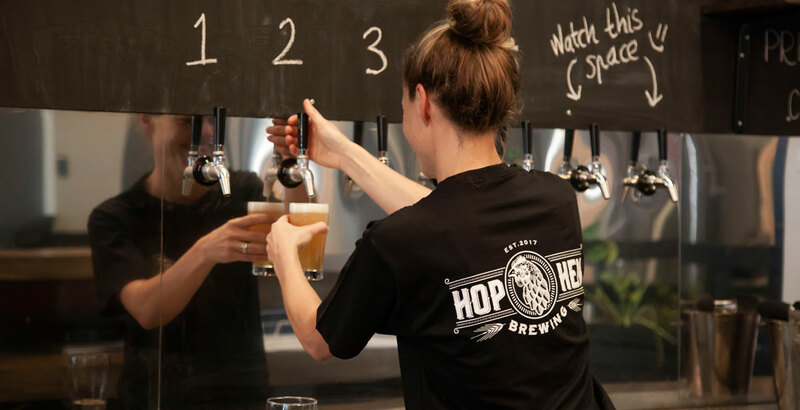 That's all changed now, however, thanks to Mike and Jodie Leonard, who launched Hop Hen Brewery for the first time ahead of the Australia Day weekend. It was quite the moment to open too considering Melbourne experienced its hottest day in a decade on Friday but, with Mike and Jodie's friends and the suburb's locals filing through the door to try the new beers, it must have felt all worth it. With the Hop Hen's thousand litre brewhouse now firing on all cylinders, we thought the time was right to invite Mike to tell the brewery's story as part of our Who Brews...? series. We are a family owned and operated brewery. After ten years as a primary school principal, I traded careers from headmaster to brewmaster. Together with my wife Jodie and our two children, we've worked to renovate a factory into a cheery and relaxed taproom and brewery, open to the public. There has been blood, sweat and, yes, a few tears along the way, but our team at Hop Hen are excited by our end product and look forward to sharing it. 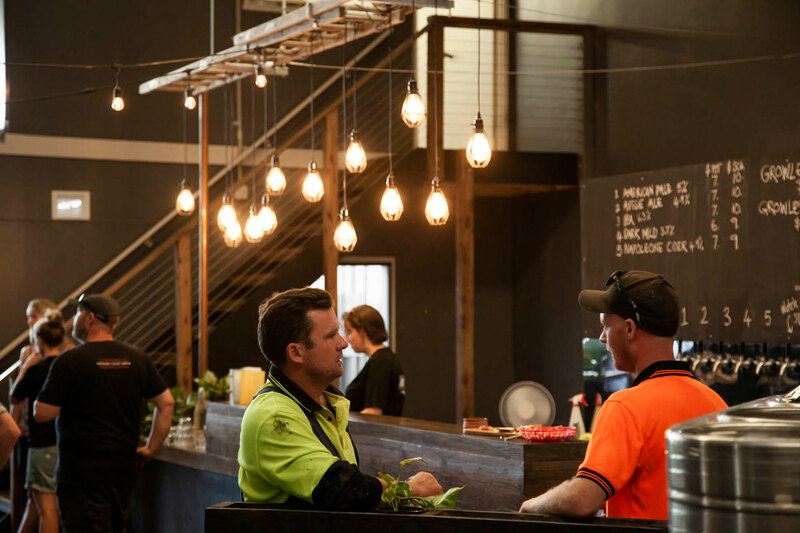 All our brewing takes place in a converted factory in Lilydale, at the foot of the Yarra Valley. For our first weekend open we had an Aussie Ale, an IPA, an American Pale Ale and a Dark Mild all ready to go. We also have a smoked porter in the fermenter at the moment. At the moment, I think the American Pale Ale is my favourite. It’s the perfect blend between malt and hops. As a family, we travelled Australia for six months. It was the perfect opportunity to ponder our future, reassess what was important in our worlds and, of course, experience some of the country’s finest breweries and brews. We certainly discovered hidden wonders of the natural and manmade varieties! I came home with the desire to follow my passion and two years later we are on the verge of that dream becoming a reality. As a passionate homebrewer for years, my hops grew annually over our chicken coop at home. The hops would shade our hens whilst providing the ingredients and flavours necessary to create some of my favourite beers. In our fridge right now we have Hop Hen Aussie Ale and Hop Hen American Pale Ale on tap, along with a bottle of Hargreaves Hill Phoenix and some limited edition gose cans from Bonehead Brewing. Definitely our West Coast IPA. It’s big and unapologetic in its hop intensity. We love the IPA style in all of its forms, so they are what we enjoy brewing the most. If I was on a desert island I’d be happy just to have beer, however I’d prefer to be on a dessert island. The Commitments – because we are in it for the long term. I live in a fairly small market for local beers and, to be honest, I don’t get out of the brewery much to see what’s out and about. I always enjoy what Black Hops are putting out; their G.O.A.T was quite nice last time I had a can. 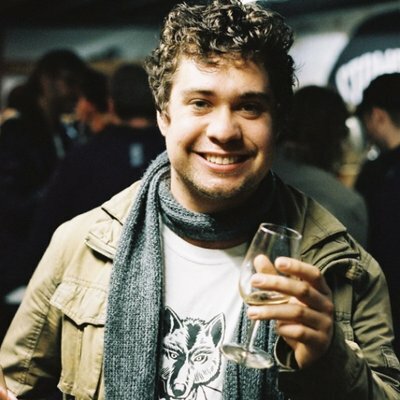 In ten years time we expect to see Hop Hen Brewery producing quality beer that people can enjoy all over Australia. However, we also still plan to be selling fresh beer to the public from our taproom. Our brewery location is 17, 64-86 Beresford Road, Lilydale. Hop Hen is open Wednesday to Sunday and you can keep up to date with them via their website. You'll also find Hop Hen and hundreds of other good beer venues and breweries across Australia in the free Crafty Pint app. Who Brews Jetty Road Beers? Who Brews Into Six Tanks?